Located along the Trail Ridge sands east of Starke, Florida, Chemours owns an environmentally-friendly mining facility that provides important mineral products that improve our everyday quality of life. Chemours focuses on the mining of titanium dioxide, which is a pigment responsible for providing whiteness and brightness to many of the products we use on a daily basis. When presented with Victaulic’s new Refuse-to-Fuse™ Series 906 Knife Gate Valve for HDPE, Chemours immediately recognized its unique value. 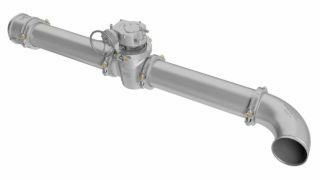 Unlike other knife gate valves, the Series 906 is designed to be easy to install and simple to maintain. 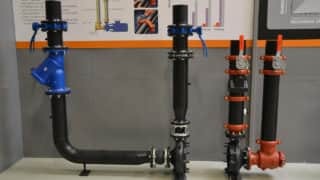 It can be maintained in-line in minutes without being disconnected from the piping system, as its wear parts are contained within a replaceable seat cartridge kit. Chemours used to face the downtime and costs associated with changing out its non-Victaulic knife gate valves every three to four months. Series 906 Knife Gate Valves were installed in January 2017 and the cartridges haven’t needed to be changed out yet. In fact, in April 2018 the cartridges were still showing no wear. Talk about icing on the cake! Want to follow Chemours’s recipe for success? 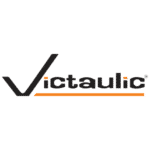 Click here to learn more about how you can reduce downtime in your facility by up to 95% and save up to 60% in annual maintenance costs with Victaulic® Knife Gate Valves.